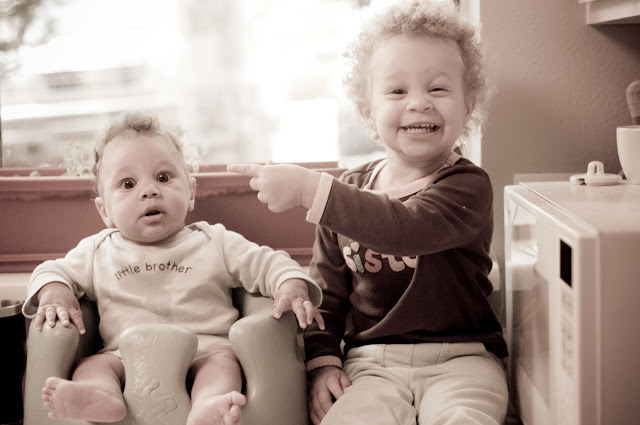 This is my favorite picture, of my favorite little faces, I took in 2010. So, I couldn't think of anything more perfect for the topic of Best Face Photo of 2010 over at iheartfaces. We are so blessed to see these sweet little faces every day and they bring us so much joy. Head on over to iheartfaces to see more great photos and vote for your favorite. What cuties! Hope they bring you much happiness and joy in 2011!! Oh, I can feel the JOY! Adorable kiddos! She's pointing and saying, "He did it!" Ha! My favorite entry so far...pure joy! I love this pic. My photo entry got deleted. Not sure what I did wrong?